The U.S. Government tracks down a Nazi Spy Ring operating on the West Coast. 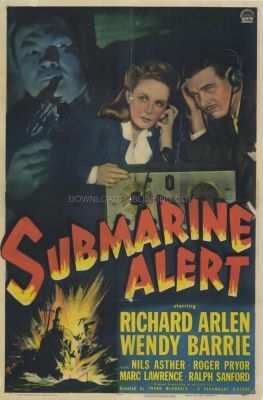 The Nazi's are using a prototype radio transmitter to broadcast secret shipping information to an offshore Submarine. Radio Engineer Lew Deerhold is draw in by the Nazi's because he is without a job and can't pay for an operation his little girl needs to save her life. Soon he is sucked into the dangerous world of espionage.